John Gould (1804–1881) was an English ornithologist, artist, and publisher of exceptional illustrated books on birds. Well known in natural history circles, he made significant contributions to the work of Charles Darwin through his identification of bird families on the Galápagos Islands, and was a pioneer in the determination of and communication about Australian birds. 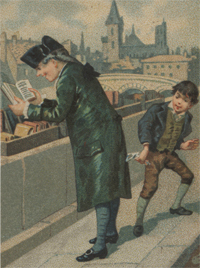 Gould’s own sketches formed the basis of most of his book illustrations, which were often published as hand-coloured lithographs produced by his wife Elizabeth or other artists, including Edward Lear, H.C. Richter, and Joseph Wolf. 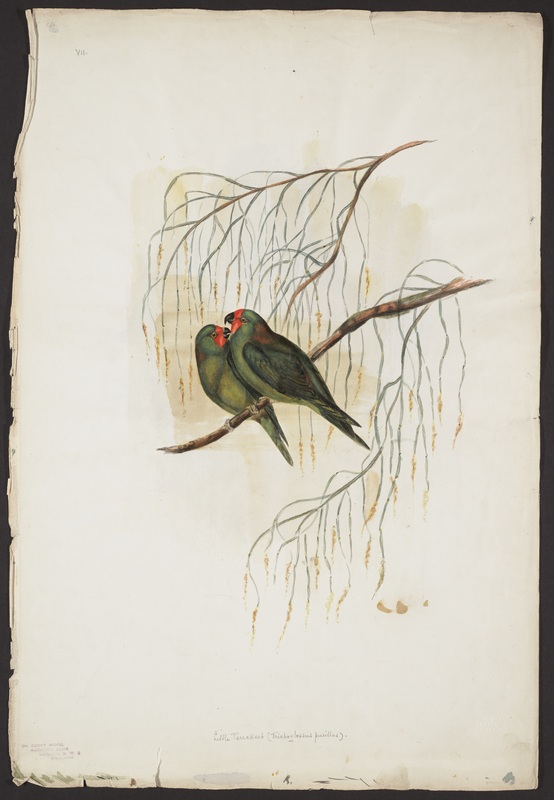 Among Gould’s most ambitious projects are the large folio volumes of The Birds of Australia (1840–1848) and its Supplement (first published in 1851), both with hand-coloured lithographs. 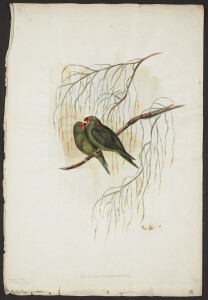 Along with this first edition and several related titles, McGill holds a number of original Gould drawings, including sixteen used for his Birds of Australia, produced between 1831 and 1836. These drawings, organized with related pieces in a portfolio titled Twenty original water-colour drawings of Australian birds, can be consulted in Rare Books and Special Collections, and our Digital Initiatives team has now made digital images available through the Internet Archive: browse small thumbnail images or see individual Internet Archive records to download high quality TIFF image files.